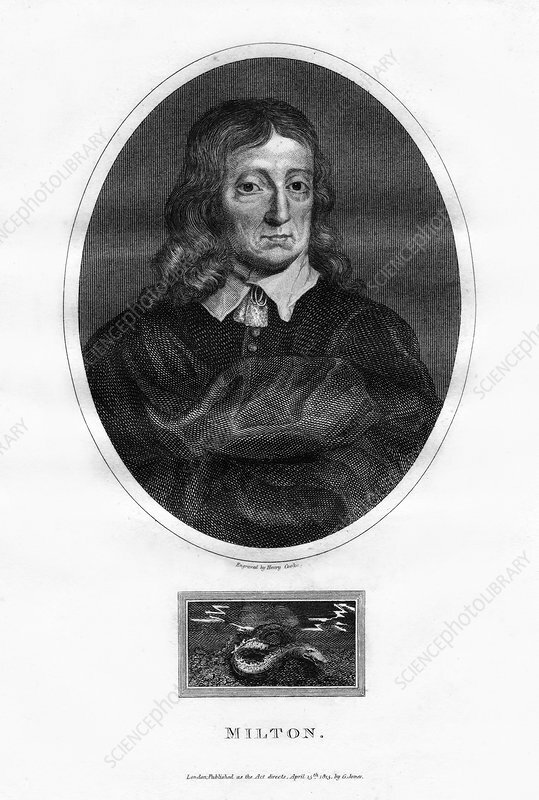 John Milton, English poet, (1815). Milton (1608-1674), author of 'Paradise Lost', became totally blind in about 1652. Artist: Henry Cooke.